This blog post will give you some more insights to another key pillar of the UI5 Evolution project: the UI5 Build and Development Tooling. 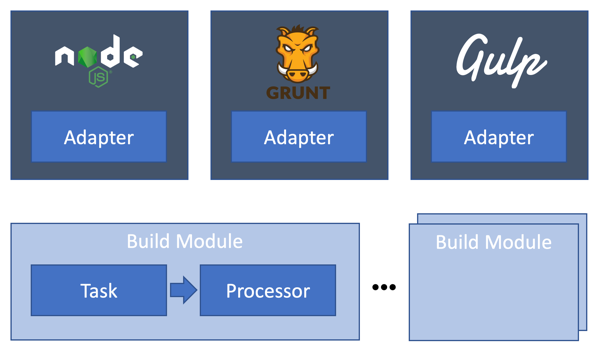 In 2014, we started to build a Grunt based build and development tooling for OpenUI5. Now we have to maintain two toolings: one for Maven and one for Grunt. In order to avoid rewriting the tooling for every environment we decided to create a successor for the existing toolings: the UI5 Build and Development Tooling – an open-source Node.js based build and development environment to support both application and framework developers inside and outside of SAP. Since March 2018, the new tooling has been open-sourced and is available for everyone in an alpha release. With the tooling, we basically address the following topics: Agnostic Build Modules, Command Line Interface, Self-contained Packaging and Migration Tooling. Technically, the build modules consist of a task and a processor. The task is collecting the resources and the configuration from the project and its dependencies. With the set of resources, the task calls the processor and let him do his job. The processor is doing the real build job to create or modify resources, e.g. uglifying them. Afterwards the task writes the resources back into the workspace. ** Keep in mind that the build modules are still work in progress and the API might change! Today’s front-end developers are familiar with Node.js. Since the Node package manager (NPM) has been evolved to act as a dependency manager also for front-end packages, it has become the de-facto standard for managing the dependencies when building front-end applications. There is no need to use other tools like Bower anymore. Everything can be consumed as NPM package. The UI5 application is now production ready and can be deployed on your web server for standalone execution or into the Fiori launchpad (when all the metadata in the manifest.json is maintained properly). The last topic about Migration Tools is another important one which we are currently working on to be able to rollout tooling support here as well. The goal is to be able to use the UI5 Migration Tools to convert legacy jQuery.sap.declare/require based modules into new AMD-like modules. This is to enable the use of the dependencies from the Modular Core rather than the functionality from jQuery plugins from the Global namespace. The Migration Tools will become part of the UI5 CLI and will be also integrated into the SAP Web IDE. By establishing easy consumption of the tools, we expect that developers will run the tools on regular basis to benefit from improvements and to keep their code up-to-date as much as possible. It should become a standard step when switching to a new UI5 version to run the tools and adopt the code in this process. 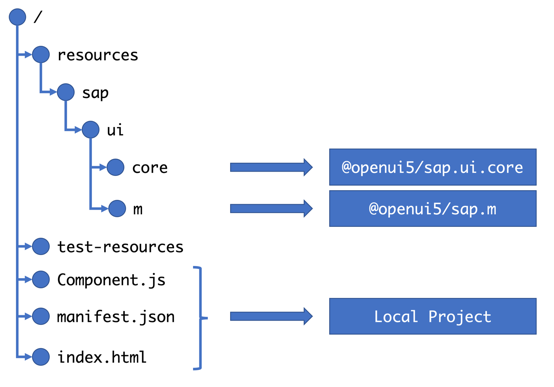 The UI5 Build and Development Tooling is another key pillar of the UI5 Evolution project and it ensures to provide a common development environment for developers inside and outside of SAP. In addition, it helps to make your UI5 application production ready via the preload or the new self-contained build. It will also soon come with Migration Tools to support developers to keep their code-base up-to-date. The tooling is open-source and we ask you to use the tooling, provide feedback and also contribute features to it to be able to provide a great development experience for UI5 development. Peter is one of the initiators who started the Phoenix project (a.k.a. 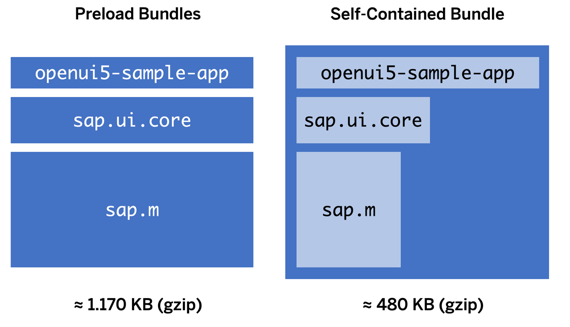 OpenUI5/SAPUI5). Today he is working as Lead Architect for OpenUI5/SAPUI5. 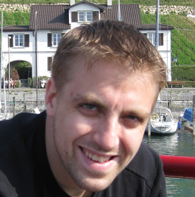 His focus topics are the UI5 Evolution project and the UI5 Web Components. thanks for the blog and the fantastic new build, esp. the “Self-contained Packages” sounds great! Is there a option in the “Self-contained” build to get the file list needed for the cache.addAll call in an offline PWA? Can I start the build from the WebIDE? Regarding the Web IDE: we are working on the integration of the UI5 tooling into the Web IDE. Unfortunately, I cannot share any timeline with you as this is done with another team. For the moment you need to build it locally.